On May 7, 2017, about 1135 Pacific daylight time, a Grumman G164A, N8712H, was destroyed by post-impact fire at Madera Municipal Airport (MAE), Madera, California. The commercial pilot was not injured. The airplane was registered to and operated by Todds Aerial Spraying, LLC. under the provisions of Title 14 Code of Federal Regulations Part 137 as an aerial application flight. Visual meteorological conditions prevailed, and no flight plan was filed for the local flight, which was originating at the time of the accident. The pilot reported that he had made three aerial application flights that morning without incident. During his fourth takeoff roll on runway 30, the airplane started to veer to the left. He applied full right brake and rudder control to correct the movement to the left; however, despite his control inputs, the airplane exited the left side of the runway. 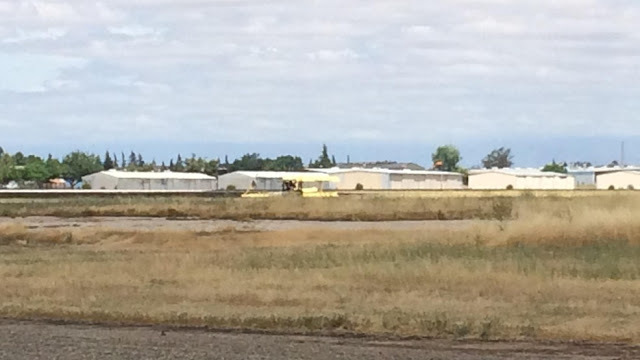 The pilot stated that the throttle remained at full power as he tried to liftoff from the grassy area adjacent to the runway. Subsequently, the right main landing gear separated which resulted in the propeller and right wing striking the ground. The airplane nosed over and a post-crash fire ensued. The pilot stated that, at the time of the accident, the wind was about 7-10 miles per hour (mph) from the southeast, with occasional gusts to 12-14 mph. 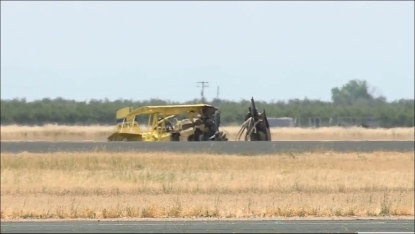 He also reported that the airplane had about 200 gallons of chemicals and 35 gallons of fuel on board. The airplane's original equipment manufacturer (OEM) parts design incorporated a free swivel, non-lockable tailwheel assembly. Such assembly allows directional control on the ground by applying differential braking, until adequate airspeed is attained for the rudder to become effective for directional control. A Federal Aviation Administration Inspector examined the right brake and did not find any evidence of preimpact mechanical malfunctions or failures that would have precluded normal operation. He concluded that the normal brake effectiveness was available, and the right brake was fully applied; however, that was not adequate to overcome the left yaw. 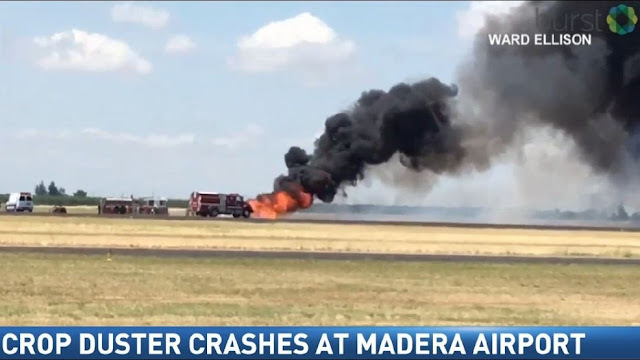 On May 7, 2017, about 1135 Pacific daylight time, a Grumman G164A, N8712H, was destroyed by post-impact fire at Madera Municipal Airport (MAE), Madera California. 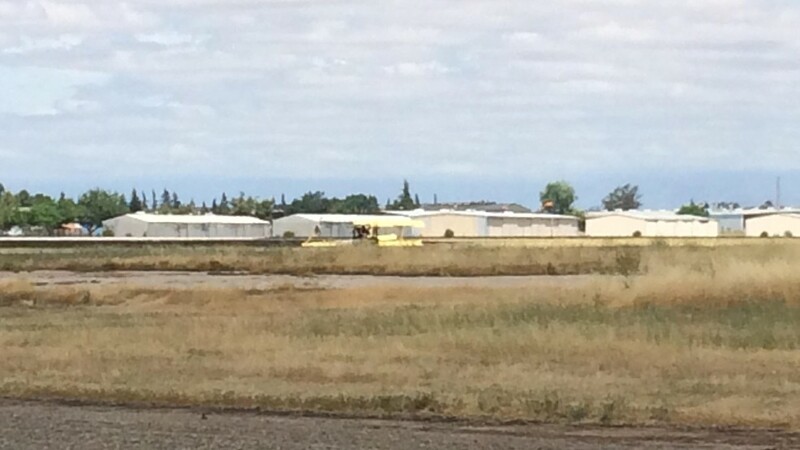 The pilot, the sole occupant, was not injured. 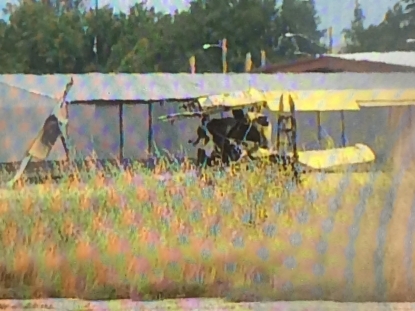 The airplane was registered to and operated by Todds Aerial Spraying, LLC. as an aerial application flight under the provisions of 14 Code of Federal Regulations Part 137. Visual meteorological conditions prevailed, and no flight plan had been filed for the flight. The pilot reported that during takeoff he encountered a quartering tailwind, and the airplane started to veer to the left. The pilot applied the right brake; however, there was no response. The airplane continued to the left, veered off the runaway, collided with the terrain, and subsequently caught on fire.